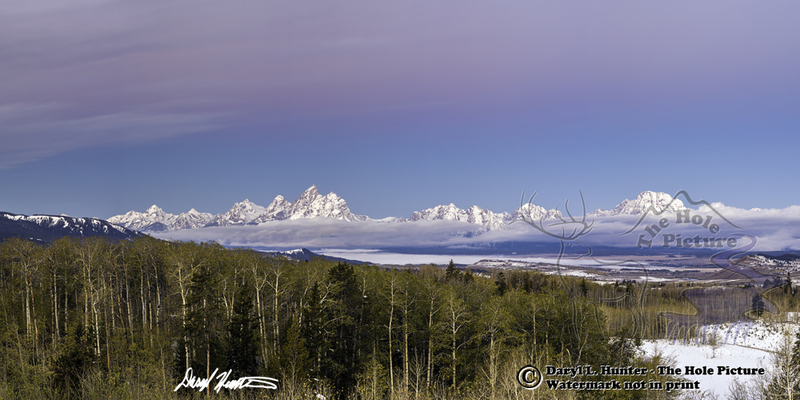 Teton Range Autumn Sunrise • On a hill far away and high above Grand Teton National Park is a great vantage point to view the whole range. The Bridger Teton National Forest abuts Grand Teton Park and is a good place to find new view of a cliched landscape. These rolling hills of the western Gros Ventre Range has extensive stands of aspens which offers a splash of color in autumn.